So it's SS10 and we all want to be on-trend, right? Well look no further than Chelsea Doll's fantastic new ranges, Tribal Time and Metallic Dream. Bursting with inspirational fashion jewellery including kitsch jewellery, cute jewellery, unusual jewellery and of course a fair share of quirkiness, the ranges have been put together to ensure our gorgeous customers are up to date in the fashion stakes! The Tribal Time range is home to bright colours, ethnic patterns and all-round funkiness, perfect for Summer nights, they were born to be teamed with maxi dresses. 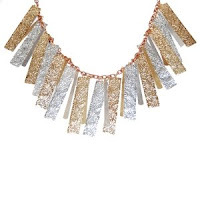 The Metallic Dream range is a dream in itself, full of cool metal pieces ready for edgy days or hot nights out. We reckon, though, that the best effect for both the ranges is to combine them together and mix and match pieces, for that original look! 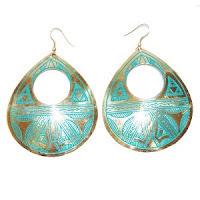 Tribal and metallic themes are going to be huge for SS10, so get your fix!